Digital Commercial Printing at Mid-Drupa Cycle: Where are we now? Peter Mayhew, Senior Analyst with Lightwords Imaging comments on the status of the digital press hardware market and the vendors targeting commercial print and packaging applications. 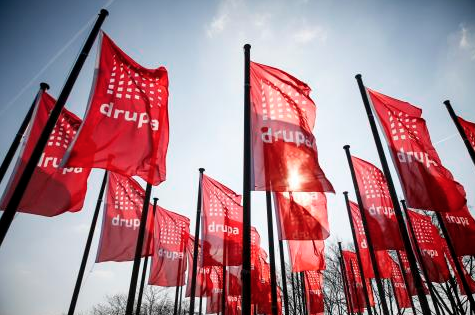 Call the last Drupa what you will but, the big takeaway was that digital was setting its sights on the Commercial Print world and nothing was going to stand in the way. And we’re not just talking about automating workflows or, achieving the fastest plate ready or wash down times with minimal human intervention. Digital presses were literally making all the noise. 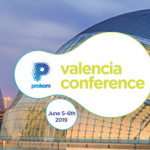 All that was over two years ago and with the next Drupa still more than 15 months away, it’s time to take stock and see just how far the industry has come in turning the marketing noise from a trade show, into reality. But first, let discuss the market trends. The move away from printing in volume to gain economies of scale continues and is gaining pace. 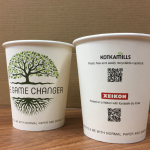 As supply chains become shorter so does the print run and with the reducing volume comes a demand for customisation and personalisation of print and packaging. This trend is driving up the value of print to a point where short-run, on-demand print leveraging variable data technology to personalise the page or pack to the preferences of the recipient, can command a premium. How short is short? Well, with digital print, production of a single personalised pack is feasible. In fact, producing thousands of individual packs is possible now. Add premium paper stocks and the highest image quality, and the proposition is compelling for the marketeer. Starting in the B2 corner. Here we have four key players, namely the HP Indigo 12000, Fujifilm with the Jet Press 720S (who have recently added the Jet Press 750S to their range), and finally the Komori IS29 and its twin, the Konica Minolta KM-1. There is a metaphor that says “first to market, wins” and yes, arguably the HP Indigo 10000/12000 presses already dominate the landscape for digital B2 alternatives to lithographic presses. And it’s notable that HP’s Indigo presses leverage technology from electrophotographic processes to deliver the image to the page. But, this press competes in the B2 sheetfed market while the Indigo 30000 remains the major competitor in the folding carton market. Lightwords estimates there are currently over 500 installations of digital B2 presses worldwide, with the HP Indigo 10000/12000 retaining a dominant market share among commercial printers producing photobooks, direct mail and marketing collateral. So, the Indigo 12000 is a well-established and very proven platform. The press can operate at up to 3,450 sheets per hour in CMKY mode and offers other modes to achieve 4,600 sheets per hour. There is also a seven colour, 2400 x 2400 dpi mode available. The HP Indigo 12000 can produce a wide range of applications from general commercial print such as marketing collateral, wrapping paper and direct mailers through to high quality photo output, publications such as coffee table books and wall décor. In packaging markets, labels, shrink sleeves and flexible packaging are proven applications. The press is even capable of producing folding cartons. The HP Indigo 30000 specifically targets the folding carton market. This press can cope with a wide range of board thicknesses (from 250 to 630 micron) which makes it a compelling entrant into this interesting and fast growing application segment. HP recognise the challenge of installing their brand on a commercial print shop floor more familiar with typical analog press and finishing brands. To counter brand prejudice, HP has developed an ecosystem powered by Esko with both pre-press and converting solutions. Meaning that commercial print shops can invest in a complete production and finishing line using familiar Esko technology. Another, interesting and differentiating selling proposition from HP for the Indigo presses is the HP Indigo Ink Mixing Service which means that true, Pantone-approved, spot colour ink can be ordered for specific print jobs with challenging, colour match problems. HP also have achieved food packaging printing regulatory compliance for the HP Indigo Electroink low-migration inks. Clearly, you will need to meet some well-defined conditions of use but, for the B2 folding carton market this is another useful advantage. Fujifilm with their Jet Press 720S is a clear leader in the ink jet technology part of the B2 digital market. Fujifilm introduced its second generation Jet Press 720S in early 2016 with an impressive feature set and has since shipped more than 150 units worldwide making it the clear leader in ink jet press installations. Fujifilm has done a great job of finding a niche for their Jet Press 720S press which is arguably slower than the market requires (its fastest print speed is 2,700 B2 sheets per hour). That niche is for high quality, short run printing in applications such as photobooks, calendars, photography and posters. The Jet Press 720S also has a slight size challenge. Yes, the media size is up to B2, 750mm x 532mm but, there is 13 mm non-printable area from the gripper edge reducing the printable area down to 720 mm x 502 mm. Recognising these challenges, in November 2018 Fujifilm launched the Jet press 750S. A digital press based on the Jet Press 720S architecture but delivering faster print speeds of 3600 sheets per hour with a larger 750 mm x 585 mm sheet size. This format improves the product’s appeal to North American customers as it can now print six Letter-sized pages in a single pass. Print quality remains exceptional, which may be to the detriment of the press, as the Jet Press 720sS initially found itself struggling to gain acceptance within the Commercial Print market where printers found the unfamiliar, high quality image niches, difficult markets in which to gain a foothold. Fuji use their own aqueous pigment Vividia inks coupled with its high performance and reliable Samba print heads in both Jet Press models and apply a pre-coat to prevent dot gain. Fujifilm are hoping the Jet Press 750S will extend the applications accessible into the lucrative packaging market which is prime for the advantages of digital printing and, will also allow access to book printing applications. Fujifilm have improved the drying and finishing systems to cope with the 3,600 sheets per hour press speed. As a result, the press is now fully capable of targeting packaging markets in addition to the migration of offset work to digital. Japanese manufacturer Komori have also been busy striking and leveraging an agreement to build digital ink jet presses for KonicaMinolta. Lightwords understands that over 50 of the Komori IS29 and KonicaMinolta KM-1 machines, which are based on the same platform, have been built by the Komori Factory Plant at Yamagata, and sold. The partnership between Komori and Konica Minolta sees the two OEM’s tackling slightly different markets as Komori leverage their long-established, distribution channels into the Commercial Print market. Something it would be difficult to Konica Minolta to replicate quickly. Komori were a little late to enter some markets around the world and to date, we estimate they have fewer installations than Konica Minolta. But Komori are ambitious and focused on presenting digital’s advantages to their analog press customers at every opportunity. 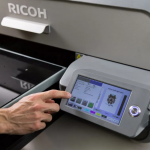 One way thatKomori differentiates from the KonicaMinolta KM-1 iswith the KP-Connect Pro software which enables production monitoring of the IS29 press, even from a mobile phone! Komori Europe also offer customers colour management solutions, JDF/JMF integration and, their established partnerships with Kodak and Harris & Bruno are seen an additional benefit to their commercial print customers. The Komori IS29 uses similar but differentiated UV Inks to those found in the KonicaMinolta KM-1. KonicaMinolta is a significant and serious entrant into the B2 market with its KM-1 digital ink jet press. This printer is seen by Konica Minolta as a critical part of their corporate growth strategy as they seek new, high value revenue streams. 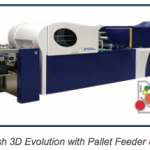 The KM-1 achieves this goal by successfully targeting both commercial print and folding carton markets. The company has high sales expectations and is certainly off to a good start as the heated, UV curable CMYK ink set is a strong and unique selling proposition. The KM-1 uses Konica Minolta’s own KM1800i ink jet print heads. Konica Minolta’s value proposition includes the substantially reduced, dot-gain it achieves versus its competitors, meaning sharper images across a wider range of media without a significant loss of colour gamut. The superior colour stability and consistency also achieved is the result of KonicaMinolta’s patented Dot Freeze Technology (DFT) which self freezes ink drops immediately on contact with the media. The range of applications accessible to the KM-1 is wide. Everything from short-run commercial print, direct mail, personalised catalog covers, packaging and specialty substrate printing for applications such as RFID enabled, plastic cards are all being produced on this digital printer and, instantly finished. To support this broad range of applications, KonicaMinolta are also developing in-line, integration solutions with Harris & Bruno and Rollem International to offer pre-coat, corona, and over-coat options. The KonicaMinolta website, does a very good job of discussing the added-value benefits of the KM-1. Some of the key features are the UV ink set, wide colour gamut, fast print speed (3,000 sheet per hour) and extensive choice of compatible media. Clearly the UV ink set that enables the KM-1 to print on virtually any media with instant drying is a key advantage compared to other presses using aqueous inks. Ink pricing is an important consideration, particularly in applications that require high ink coverage. KonicaMinolta’s DTF with low dot-gain benefit, means they can also use UCR – under colour removal by grey component replacement to further reduce printing costs. Performance wise, there is little to differentiate between the KM-1 and the IS29. It all comes down to the service support on offer, the deal you are able to negotiate, your brand preference and any additional “value-add”. We should also mention that at Drupa 2016, Canon previewed a prototype version of their Voyager B2 digital press. Designed to address the commercial print, catalog, photo merchandise and light folding carton market, the Voyager is Canon’s response to B2 digital presses introduced by HP, Fujifilm, Konica Minolta and Komori. With a rated speed of 3,000 sheets per hour and boasting a 7-color ink set the high resolution image quality of the Canon Voyager is at photographic levels. The press uses an innovative intermediate transfer blanket to move the pigment ink-based image from the print head to the printed page. The benefit being that virtually any media can be used without pre-coating. Since Drupa, we’ve not learned of any customer installations of the Canon Voyager. Customers for any digital press will need a sharp pencil and spreadsheet skills. You will need to fully understand the type of work you want to move from your analog press onto the digital platform. Only then will you be able to make a reasonable comparison of the production costs and ultimately, the return on your investment and total cost of ownership. All the vendors will adjust hardware, ink and service costs based on your forecasted productivity and each vendor will trade-off either hardware, ink or service price against the other, depending on their profitability contribution of each component. So, weigh carefully your production levels, ink coverage and expected up time before making your final choice. Moving to the B1 platform, we need to start by shifting to a different set of applications. We are now in the packaging market and typical applications are primarily based on folding cartons used in consumer products which demand a higher levels of quality and/or security. There are brands already active in this space, Heidelberg Druckmaschinen with their Primefire 106, the Landa S10 and S10P, the soon to be released Komori NS40 and finally, KBA with their Varijet 106. For Heidelberg, the Primefire 106 is also a strategically important product. Although Heidelberg will encourage any of their analog press owners who need the advantages of digital printing (variable data printing, short run lengths, “Web-to-Pack” etc.) to consider a wide and compelling range of upgrades to their existing presses, the Primefire 106 is a very attractive alternative. It comes with all the quality attributes you would expect from the Heidelberg brand. Outstanding, German engineering fully tested and delivering pages to the highest standards. Yes, this is a simplex press and with a productivity of at 2,500 sheets per hour already in serial production. There are configuration options which means that if you are a Heidelberg “house” this press will drop straight into your current, shop floor workflows with minimal disruption. And there are some nice, unexpected touches which your press operators will appreciate and will help you justify the price tag. For example, the viewing and inspection booth at the end of the press is impressive. Hit a button and delivered through a slot direct onto the table is a sample sheet. Open a flap and there is an electronic microscope which displays on the large, high resolution control panel every dot that even the most optically challenged, individual can interpret. Not that you need this level of dot inspection detail as digital presses are considerably more consistent in their output than their analog cousins. Speaking of dots, the Heidelberg Primefire 106 uses the Fujifilm Samba GL3 print heads which Heidelberg personally assemble into their own design, print bar. Heidelberg also sources its aqueous pigmented inks from Fujifilm which it sells under its own Saphira brand. The press is configured with seven print bars to achieve a CMYK, Orange, Violet and Green ink set. These are aqueous pigment inks so, there is a pre-coater and a substantive drying section configured into the press. One of the challenges for any printer investing in digital is the how to manage the demands of a new and unfamiliar data workflow. Heidelberg see this as one of the biggest challenges to digital press adoption. 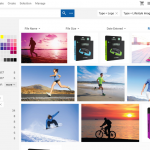 With the possibility of every printed carton containing a different, high resolution, image comes a tremendous demand on a companies’ intranet and servers. Heidelberg go to considerable lengths before a purchase to ensure that the digital infrastructure is in place to support this press and that it can cope with the demands expected of it. Making the most noise at DRUPA 2016 (and previous DRUPA’s) were Landa. The demonstrations and marketing messages were impressive and compelling. Someone had to take the lead and Benny Landa can justifiably claim that title. Packaging printer Edelmann are a key beta-site for the Landa S10 where the machine has been recently installed in a production environment, producing high-quality output. This is an environment perfectly suited to the Landa S10 press. As a major player in this market, Edelmann understands what is required to be successful in this segment of the packaging market. For the Landa S10 press there is a very clear differentiator with its Nanoinks. This is not just about pantone matching with accuracy, it’s about finding hues and saturation levels and, point-of-sale, packaging performance that will be at a new level of quality, not previously seen in consumer packaging, whilst leveraging the ability to differentiate and track, every single printed carton. And all this on paper stocks never considered viable in this environment before. Small boutique paper mills take note, there is a new market on the horizon and coming your way! Two other B1 presses were revealed at DRUPA 2016 but, have yet to make an appearance in the market. They are the Komori NS40 and the KBA Varijet 106. Komori are saying the NS40, a four color press capable of speeds up to 13,000 sheets per hour and leveraging Fujifilm Samba print heads to deliver Landa’s Nanoinks, is expected to enter beta testing at a customer site, in 2019. It’s not such good news for those waiting to see the KBA Varijet 106. Yes, there are two prototypes of this 1441 dpi Litho/Digital hybrid press in existence. The Varijet 106 has a production speed of 6,500 sheets per hour and includes a corona, pre-treatment unit. The digital, ink jet section of the press uses Xerox’s Impika technology to deliver aqueous inks to the media which is dried by an infra-red hot air dryer. However, KBA are saying that the Varijet 106, which is based on a Rapida 106 platform, is not ready for launch. KBA say the business case for the press, from the service providers perspective, is the problem and they do not want to market the press while this challenge exists. So, midway between Drupa’s, its fair to say that the OEM’s who made so much noise in 2016 are starting to deliver on their marketing hyperbole. With an expanding number of digital press installations print volume will continue growing rapidly. This will continue driving demand for both standard and specialty inks that address the full range of commercial printing applications for these presses. If you are a commercial printer who has been sitting on the fence, waiting to make the move to digital, don’t wait too long. I suspect your competitors are already engaging with their favourite digital press brand, right now.